A stunning range of chinaware and scented candles, featuring striking botanical themed designs. Sarah Horne is an internationally renowned, creative floral artist. 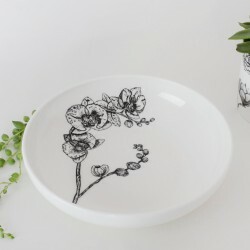 Spending over 35 years immersed in flowers inspired Sarah to extend her design skills into botanical illustrations, which she then used as an impetus to develop a variety of gorgeous homeware products. 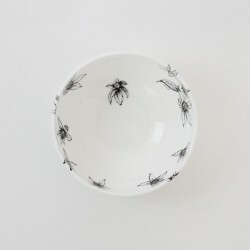 The Sarah Horne Botanicals fine bone china collection are handcrafted and feature Sarah's original artwork. Influenced by vintage and Victorian botanical engravings, yet with an edge of modernity, the designs are both delicate and bold. 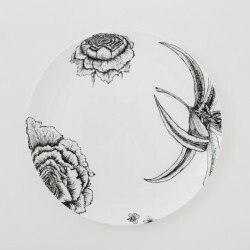 Wonderfully eclectic, the range compliments a wide range of interior styles.